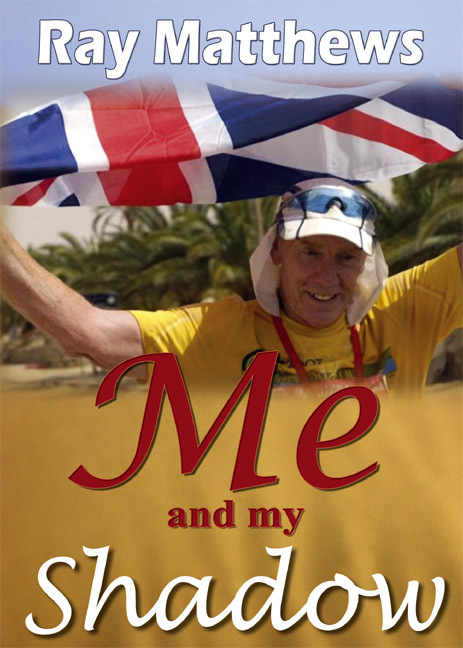 Exhilarating autobiography of 70 year old desert runner and his extraordinary 100 miles run round Rotherham. What kind of man runs 100 miles at the age of 70? What makes anyone want to run 100 miles? Who decides what the right age is to achieve your dreams? Throughout a lifetime, everyone has the opportunity to meet truly exceptional people. Ray Matthews is one of them. From being a cocky ginger haired, Yorkshire lad who just wanted to “have a go at boxing,” to his recent 100km Sahara Desert race, Ray’s life is truly inspiring and anyone seeking to take on the impossible should read this book. Ray writes with a passion that reflects his fervour for life. Feel the emotion as a young Ray takes steps that help him discover the most important mentors; who lead him to make the hardest choices; which made the biggest differences in his life. "Wow" its all about to happen. Its now getting scary the book will be availible on 23rd feb, and will be read by complete strangers from around the world, but i do hope we all become friends after you read my story. Please pass on your comments to me, and if you like what you read, please tell your friends. The first book signing will be held at the Energie Gym, parkgate Rotherham on the 28th of Feb throughout the day.